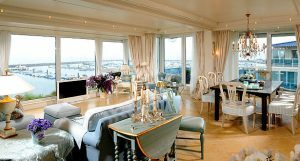 The German Tourism Association honoured the penthouse as the best holiday apartment in all of Germany. You’re looking for something special? You are always welcome here! 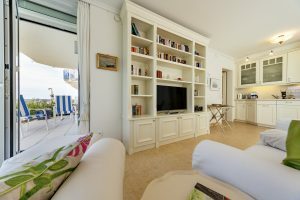 The Strandresidenz-Kühlungsborn offers 5-star-comfort. The whole building was equipped by the Giebel-family at the highest standard. Thanks to modern technology, the seven (smoke- and animal free) apartments are perfect for allergy sufferers and for people with disabilities. Additionally, we offer a wellness area, fitness area and leisure area. 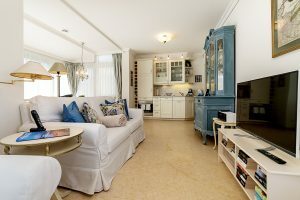 In October 2008, all holiday apartments of the Strandresidenz-Kühlungsborn were tested and proved by the German Tourism Association. The result: All seven apartments were honoured with 5 stars. 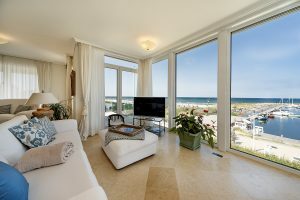 Additionally, the apartments have exceeded the minimum points to acquire 5 stars by a great deal: they exceeded 1170 points and more. The penthouse even reached 1256 points – until then, unrivalled and never seen before! To be honoured with 5 stars, 900 points must be reached at least. The ‘Ferienimmobilion-Kompass’ 2009, issued by ‘Capital’ and the ‘Financial Times Deutschland’, published the Strandresidenz as a Top-housing area at the Baltic Sea. Since June 2009, we ask our guests about their experience with us as their holiday domicile. Until now, all guests confirmed that their expectations were answered or even exceeded. We are proud that our guests were happy with our accommodation! You can read original comments from our guest book here. 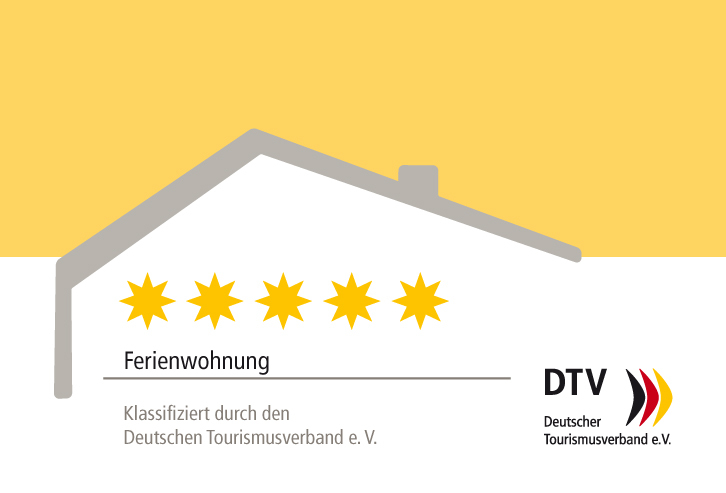 From the news release of the DTV on 27.4.2009: The holiday apartment with the highest German standard of quality is situated in Kühlungsborn. 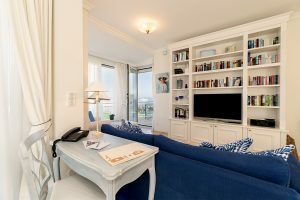 One of the 7 holiday apartments in total in the ‘Strandresidenz Kühlungsborn’ received the highest points ever obtained. 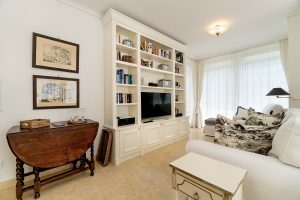 The apartment received 1256 points from the German Tourism Association e.V. 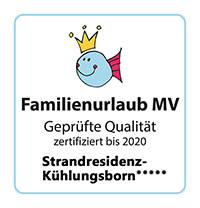 (DTV) which is why the DTV president, Reinhard Meyerhonoured the Strandresidenz in April 2009 with 5 stars. ‘The points of all seven apartments of the Strandresidenz are marvellous’, says Meyer. ‘All exceed with 1.170 to 1.256 points the minimum requirement of 900 in order to obtain five stars. This reveals the special engagement and quality.’ Meyer delivered the shield of classification himself to Fried. Giebel, owner of the Strandresidenz. 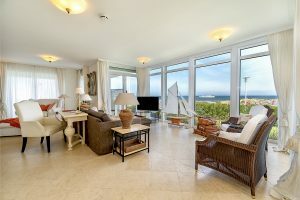 Germany-wide, one will find the DTV-stars for around 66.000 holiday apartments, holiday houses and private rooms. In Mecklenburg-Vorpommern there are around 380 properties with 5 stars.